At The Sports Rack, we like to keep it simple. If there's snow on the ground, go skiing. Whether you are aiming for the back country or the World Cup, we have a full line of Nordic skis and all the necessary equipment to keep you moving in the colder months. When you come in, make sure you talk to our expert staff who can ensure you get the right gear. Sports Rack is the only shop in the UP with expert ski fitting. 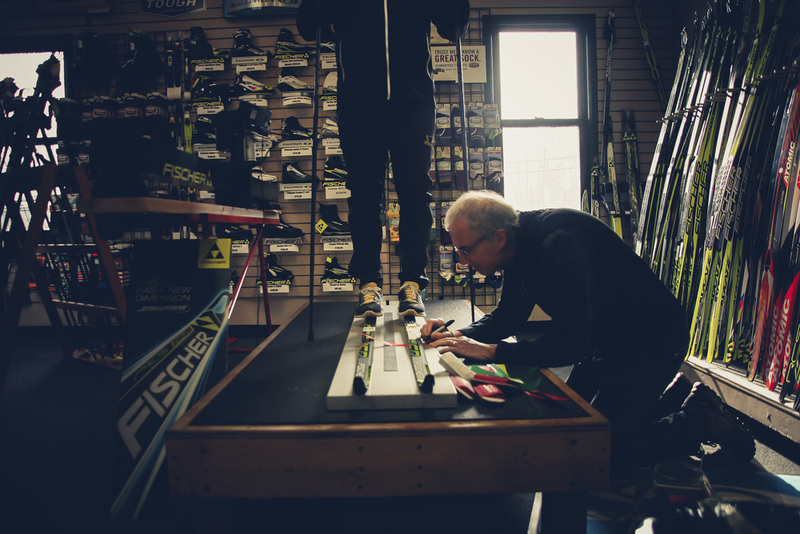 Sports Rack offers the same flex board and flex testing machines available to the top athletes in the world and every ski that goes out the door goes through the same fitting process. We do not offer any Nordic ski rentals at this time. There are two great places in town to rent skis though! Once you've used your skis, make sure to ask about our WINTERSTEIGER ski grinding to reopen sealed and dirty bases. 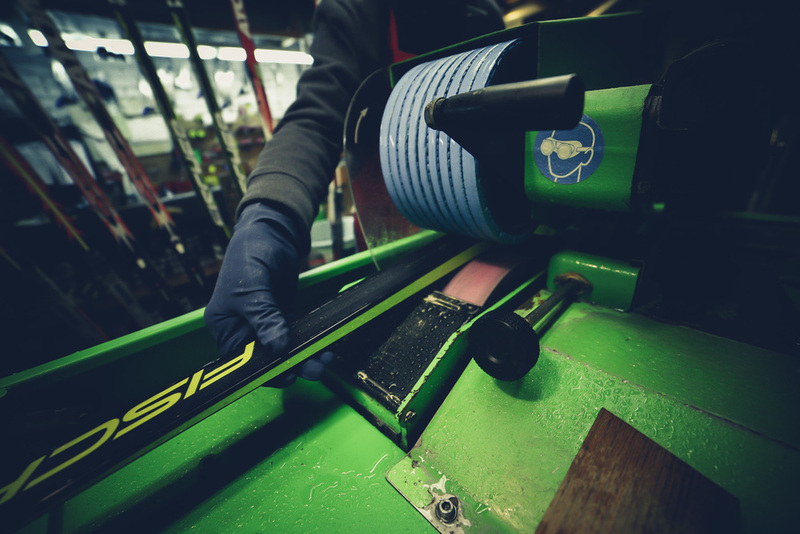 Our staff can determine if grinding is warranted on any pair of skis and what grind would suit you best. Along with selling the wax, brushes, and tools; we have a full Nordic service department and can take care of your skis for you. We offer full race service for making sure your gear isn’t holding you back! Come in the week before your race to talk to us about waxing your skis or getting all the best wax recommendations for your event. Wax clinics offered on a limited basis. If you want to learn about waxing, please come in and ask. Check out the newest equipment from FISCHER, ATOMIC, SALOMON, and SWIX. Check out all the very best in waxing with brands like VAUHTI, SWIX, SKI*GO, HOLMENKOL, GURU, START, and TOKO.